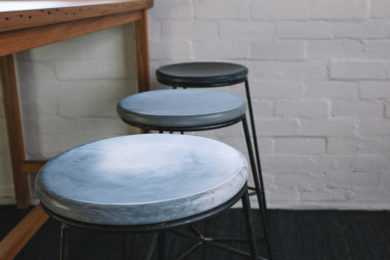 dimensions: Bar Stool - 650mm H x 430mm base DIA x 330mm seat DIA. 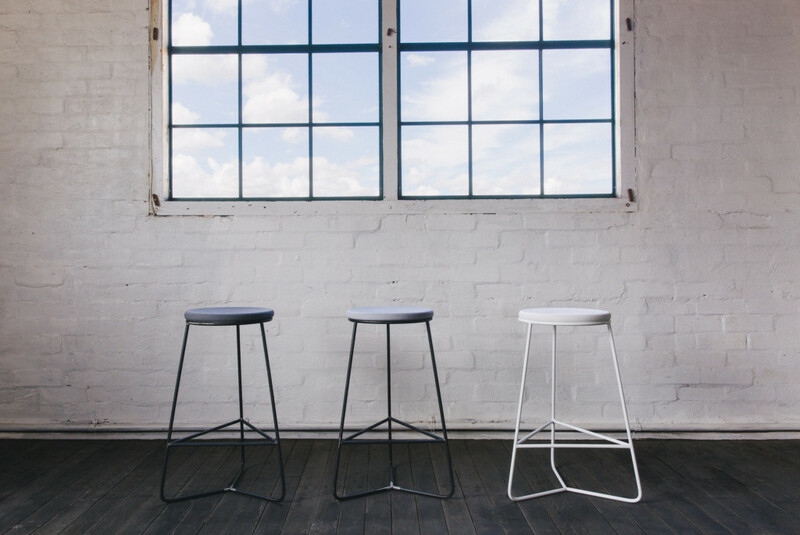 High stool - 750mm h x 450m base dia x 330mm seat dia. Available In: material - glass fiber reinforced concrete top with 12mm round bar mild steel for the base. White, light grey, dark grey and black finishes available for the top. powder coated or raw steel finishes of matte black, flat white and raw waxed available for the base (custom colours available on request). 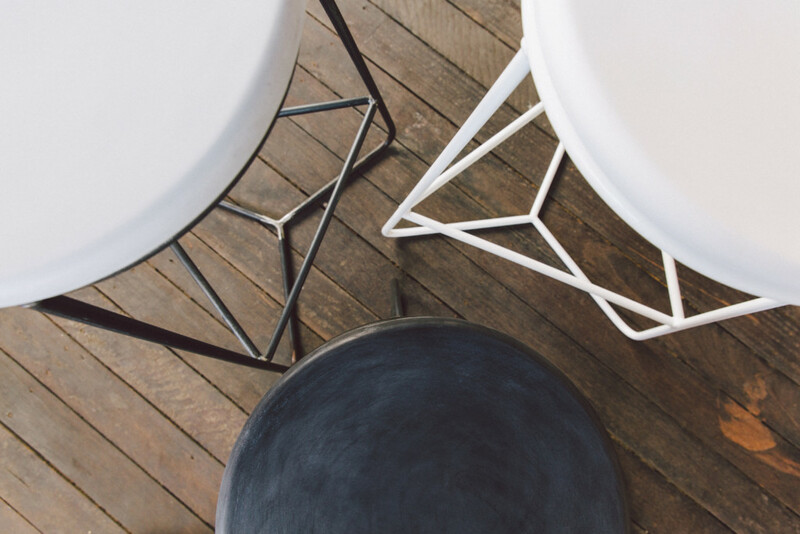 Refined in character yet robust in design, the concrete stool is crafted for strength and style. 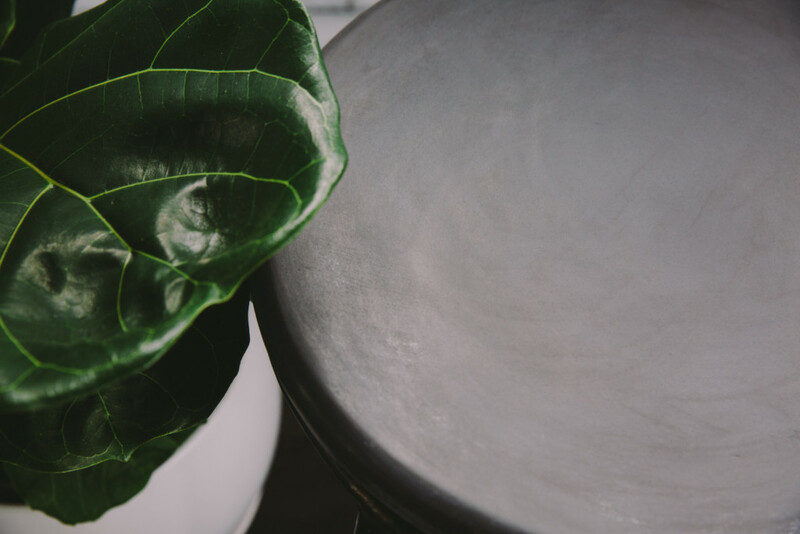 Sustainable raw materials have been chosen to create this beautiful, modern piece for your space. 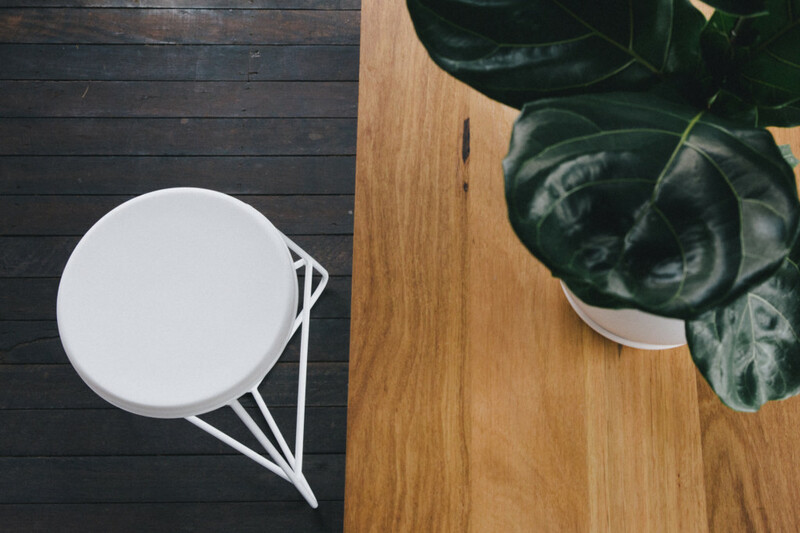 The concrete stool has a monochromatic palette that will suit any home or interior. each rounded concrete top is bespoke, displaying subtle variations in colour and patterning while retaining the same neutral scheme.